Who doesn’t love a Carols by Candlelight event? Clubs looking for a marquee event need look no further than this event as ‘Carols’ has the potential to raise significant funds and establish a highly-visible profile for your club in the wider community. If successful, this fundraiser could become an annual event that the community commit to each year and in turn earns your club a valuable and dependable yearly funding boost. Carols by Candlelight can be run as a standalone event or the main event with side attractions in the same manner as a fete. Side attractions including rides, food and market stalls add to the festivity of the night and are another great potential revenue stream for your club. A Carols by Candlelight event can be extremely profitable if your club can draw a large crowd but there are also many risks to consider including the weather, attendance during a busy time of the year and having enough volunteer help at your club to make it a success. This fundraiser can be quite complex and in turn can make substantial income for your club. It can also become a great annual community event that is a highlight in the community calendar. It is important that your club has the resources to ensure the night is successful, if not, the event could end up losing your club money. The window of opportunity for running a Carols by Candlelight event is a maximum of 4-6 weeks prior to Christmas. Decide a date for the Carols by Candlelight event. Promote the event and ensure if it is part of a larger event it has been included in all advertising for the day. Organise the location of the event. Organise the performers and bands. Hire any stage, microphones and sound systems needed. Clearly define all volunteer roles for the event. Determine if additional stalls will be provided and organise. Organise food and beverage options. Organise entry, a till or somewhere to safely store the money collected. Consider amenities and ensure you adhere to council regulations. Ensure the location is set up and ready to go. Clearly communicate volunteer roles for the event. Monitor the cash coming in and clear to a safe or secure location often. Support the running of the performances. Ensure your MC runs the event smoothly. Ensure safety of the attendees. Announce the amount of money raised in club newsletters, on social media, website and around the club. As the community are also part of your event seek support from your local media and community groups to thank those who attended. The profit margin for this event can potentially range from $500 – $15,000 but it can easily lose $5000 for your club as well. An outdoor stage and audio equipment will incur extensive costs, as will the costs associated with appropriate insurance, toilet, waste and traffic management. Depending on the region you are in, weather insurance may also be advisable. If side attractions are to be included, this will add to the costs of the event. Side attractions could include: stalls, rides, food and beverages. Clubs can look within their own community for people with event or project management experience, otherwise there are event management companies that can run your event for you, at a cost. With these expenses in mind, clubs can seek to lessen the cost to the club through approaching local business and sponsors for support. A great way to approach local businesses and sponsors is to create a presentation detailing your event, the expected patronage and how your event can build the profile of the business or sponsor through signage or the opportunity for business representatives to set up a stall or mingle with the crowd and distribute marketing material. This clearly shows potential sponsors the value of being part of your event and sponsorship dollars raised can go towards offsetting larger costs such as stage and sound equipment. Both strategies can work. As there are so many events happening in December, clubs that seek to charge entry need to make sure they have an audience willing to pay. Many people will pay to support the club but the general public, with many other free entertainment choices available, will need convincing. High profile performers (many will do it for free to give back to the community), gifts, fireworks, or food and drink included in the purchase price may entice the general public to pay to attend your club’s Carols by Candlelight but you need to be confident you are putting on an event that people will be willing to pay for. Do some research within your club and community as part of your planning to get an idea of what would entice people to attend your event. The advantage of having a free Carols by Candlelight is that your club can spend less on the stage and performers rather than feeling the pressure of having to give the audience their “money’s worth”. The other big advantage is you’re almost guaranteed people will attend, because it’s free, and that gives you a great opportunity to raise funds in other ways. Promoting your Carols By Candlelight is vital to its success. Carols by Candlelight is bigger than just a club event so it is important to promote community wide, not just to club members. It is a great idea to enlist the help of your local radio and newspaper to provide a community announcement promoting your Carols by Candlelight event. You can also ask someone at your club to produce a flyer that can be printed and copies left in community centres like shops and schools. Don’t forget to promote within your club on the website, club social media pages and in the newsletter. A billboard promoting the event in a high-traffic area in the community like a busy intersection or outside a school is also a great way to get the word out to the community about your event. You can be creative with your promotion! If your club is aiming really high, and you have the funds in the budget, then a publicist may also prove a good investment. 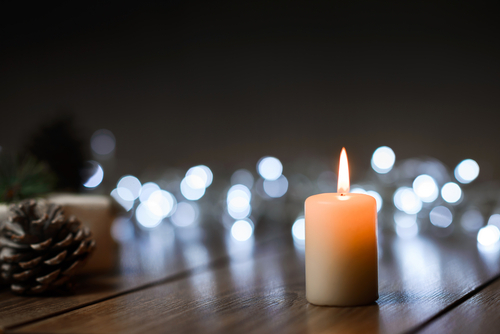 Effective communication of your Carols by Candlelight event is important to its success. You can use social media to build excitement, sell tickets and countdown to the day. There are obvious financial risks if enough tickets aren’t sold, or if you choose not to sell tickets funds being raised by other means and set up costs are more than is made. Your club may like to have a number of performers and groups involved to ensure if a performer is sick or unable to attend the event can still run. It is imperative your club work with your local council when organising a Carols by Candlelight event as many factors need to be taken into consideration including neighbours, traffic and food and drink regulations. Select a location that takes into account easy access for the community as well as parking. It is also a great idea to have a traffic management plan that includes speed limits and traffic marshals. It is imperative that the Carols by Candlelight event is run by an engaging MC. This will ensure everyone gets involved. It is also important to consider age appropriate and family friendly performers.